Located in the largest metropolitan area in Western Virginia, Roanoke Valley lies amidst the heart of the Blue Ridge Mountains. The historic charm of Roanoke&apos;s railroad heritage, coupled with the numerous festivals, outdoor adventures, and famous southern hospitality, combine for a rich and unique family experience for visitors and natives alike. 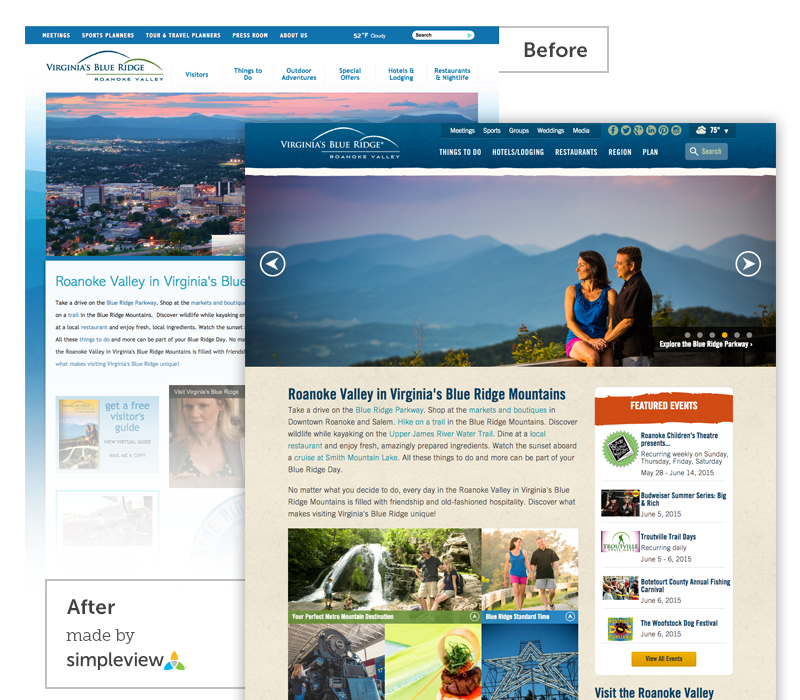 Roanoke Valley CVB recently upgraded their website to the powerful new Simpleview CMS, capable of drag and drop, real time page preview, and more. Not only that, the website got a fresh new responsive design and is now optimized across all devices, including mobile phones and tablets. 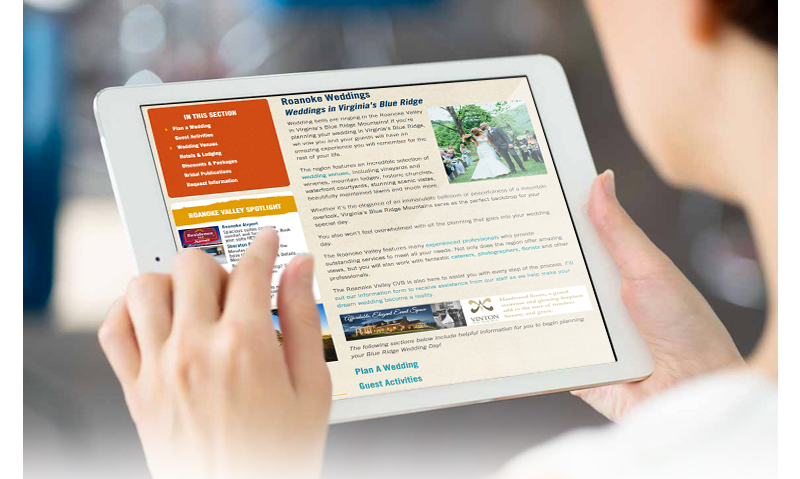 The new Roanoke Valley website has a number of eye-catching modules and features. The Highlights module, for instance, tiles together multiple boxes of differing size and utilizes local photography and short descriptions to draw traffic to other content within the site. The module is colorful and mosaic-like, and effectively allows visitors to expand areas of interest. Curious as to what major cities await in close proximity to Roanoke? 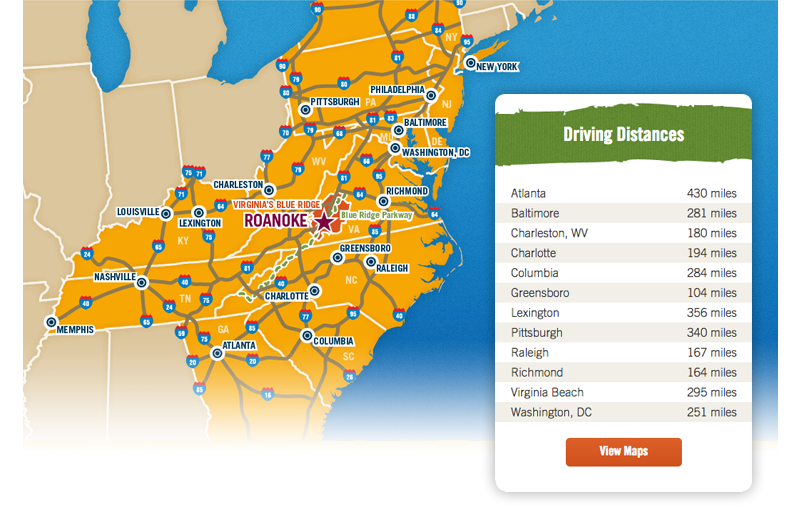 The new static map on the homepage illustrates local destinations and their approximate driving distances. 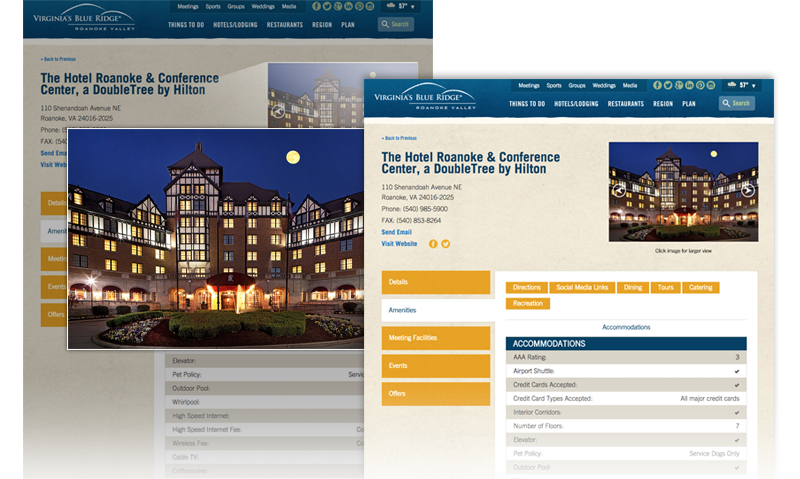 Using a static map like Roanoke&apos;s can often trim off time in production and more easily present information in an efficient manner to visitors quickly scrolling through your site. Other great Roanoke Valley features include its detailed listings layout, which details partner amenities, meeting facility statistics, and even driving directions and social media links. 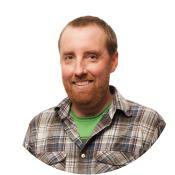 These listing provide enormous exposure to Roanoke Valley&apos;s partners. Lastly, Roanoke Valley gets the most bang for its buck by incorporating elegant Destination Travel Network (DTN) integration. Roanoke Valley&apos;s spotlight ads adhere perfectly with the website brand, and generate revenue for future campaigns or reinvestment back into the site. 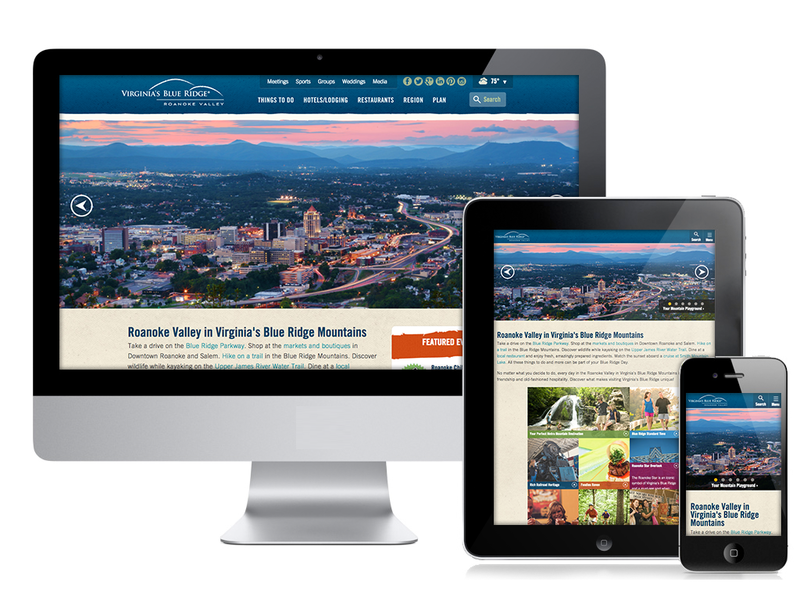 These are just some of the many new features of the new Roanoke Valley website. 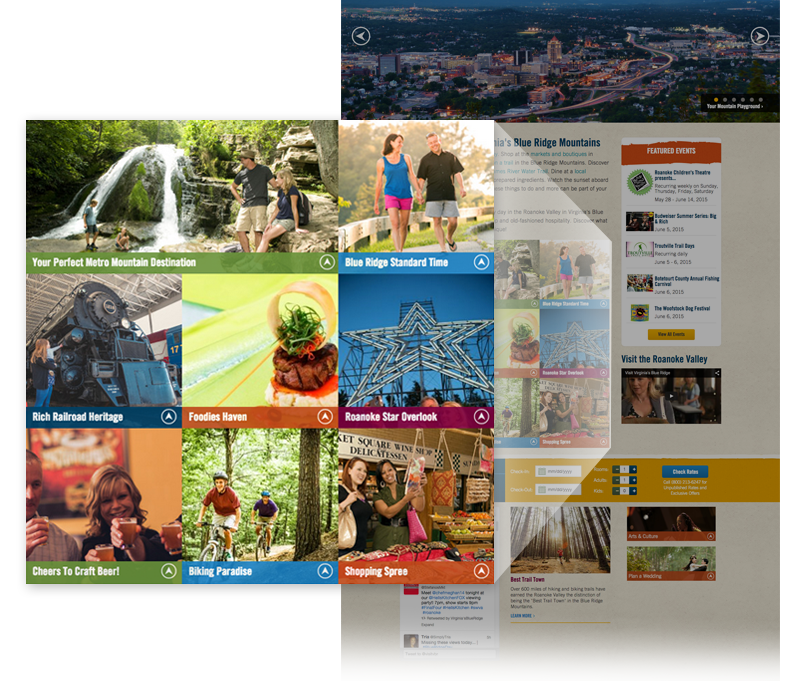 To check out all of these great new features, plus many more, be sure to visit www.visitroanokeva.com.